We make it easy and affordable to get professional DVD encoding, menu design, and authoring for your project. We'll take your film, video, and additional content and blend them into a dynamic professional DVD that is fully customized to your project. Combined with our video production, graphic design and DVD replication services, we can make the entire process of creating a finished product completely painless for you. With services that range from basic DVD encoding to fully customized menu design, Closed Captioning, director's commentary track, and motion menus, we can provide the customized functionality you need. When it comes to your DVD project, we can help you determine the best solution for you, whether that's a simple auto-play disc or a complex multi-menu DVDwith interactive moving menu screens, subtitles, multiple soundtracks and special features. A Qu Studios authored DVD can feature motion menus, along with multiple language settings and be equipped with a subtitles function. Along with video content we can also insert digital documents, such as PDFs, into the DVD disc. This is ideal for providing potential clients with video and documents in one simple product. Via MIXEDUPPIXELS, we can produce menu artwork based on your existing designs or corporate identity. Alternatively, we can create new artwork for you, exclusively for your project. Source material can be provided in almost any format. 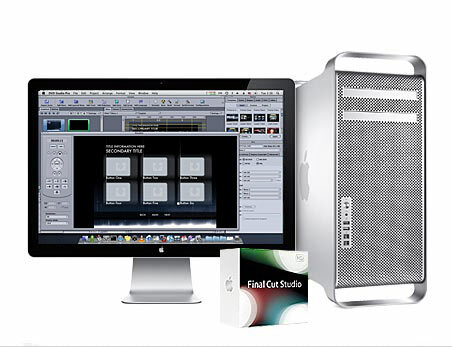 We also work with FCP and Premiere projects and files. As Qu Studios provides a full service we can also design artwork for the DVD face and sleeve as well as duplicating the finished product.